Screen legend Diane Ladd does double-duty, in a sense, in director David O. Russell’s critically acclaimed dramedy “Joy,” both as the wise grandmother of the title character, Joy (Jennifer Lawrence), and as the film’s narrator. The amazing thing is, Ladd’s enlightened sense of storytelling — which establishes a larger-than-life presence of her character throughout the film — wasn’t originally in Russell’s plans. Now playing in theaters nationwide, “Joy” is based on the true-life tale of Joy Mangano, a divorced mother of two who defied the odds in the early 1990s with her invention of the Miracle Mop, a product that helped the burgeoning inventor lay the foundation of what would become a business dynasty. “Joy” also stars Robert De Niro as Joy’s hard-edged dad, Rudy; Virginia Madsen as her sheltered mother and Rudy’s ex-wife, Terry; Bradley Cooper as QVC executive Neil Walker; Edgar Ramirez as Joy’s ex-husband and loyal advisor; and Isabella Rossellini as Rudy’s new wife and Joy’s principal investor, Trudy. 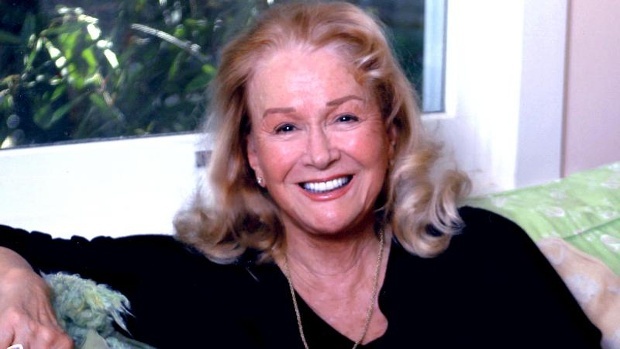 Ladd stars in the pivotal role of Mimi, Joy’s faithful grandmother. As far as her character’s physical presence in “Joy,” Ladd said she absolutely loved how Russell and co-writer Annie Mumolo created a strong Bond between a grandmother and her grandchild. As the mother of two-time Oscar nominee Laura Dern, Ladd knows the bond between generations very well. Now, Ladd says, she has the same sort of relationship with Dern’s daughter. “Once Laura and her daughter had a fight and Laura went off, and I said, ‘Come on, Jaya,’ and I think she thought I was going to preach at her. But instead I took a blanket and we went outside, and we laid on the ground and looked up at the trees and the sky — and in a little while Jaya was telling me all of her feelings,” Ladd recalled.